Plastic. It is, literally, everywhere – clogging our waterways, ingested by our seafood, filling our landfills and littering our environment. Which is why I felt called to join the Environment Committee of the Berkshire Women’s Action Group. This small group of four women, five including me, was working to pass a bylaw in our town to ban the sale of small single use PET plastic water bottles. These are the ubiquitous clear disposable water bottles that have become a mainstay of modern life. They are on shelves in every store, on every podium, at every sporting event and concert, at every school fundraiser, every political rally, in every emergency cache, and in most Americans’ refrigerators. Their ready availability is – I now know – considered by many to be practically as American as Apple Pie, an inalienable right of sorts. But our little group had decided to push back on this phenomenon, to work to legislate a shift away from our plastic gluttony and into more sustainable habits for the people of our town, such as carrying one’s own refillable water bottle. Our group carefully presented our arguments at the Town Hall Meeting at which there was to be a vote. We showed the effects of plastic waste on our oceans and waterways. We broke down the reasons recycling is not the answer given China’s recent embargo on American plastics and our dysfunctional recycling industry. We exposed the economic costs of plastic water bottles to the individual – costing much more over time than drinking home filtered tap water. And we spoke of our vision for our town as a model for sustainability that other towns might emulate. And – or so it seemed – it worked. Our bylaw passed by a two-thirds majority vote! A group of citizens and merchants, infuriated by the vote, petitioned to rescind the bylaw and called a second town hall meeting. Tempers flared and arguments were made on both sides. I will admit, I was surprised by the objections to what seemed to me an obvious and necessary step in the right direction for our community and our children’s future. And then, soon after, I was surprised by my surprise. 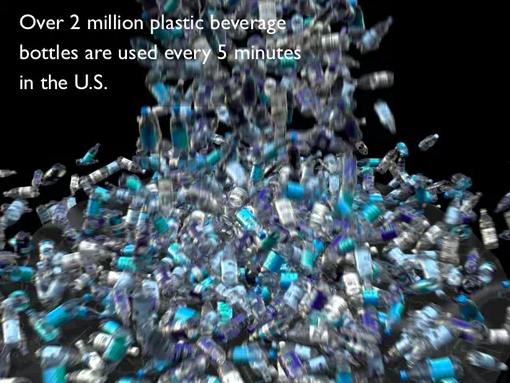 After all, we are living in a time in which almost everything can become divisive – even a plastic water bottle. For some, the water bottle suddenly became a symbol of their struggle to survive and be heard. Some small merchants, who already struggle to stay afloat against big box America, resented being asked to remove a lucrative product from their inventory. Middle-class parents and workers, already punished by health and education costs, mortgages and taxes, felt indignant at now being told how they should drink their water. Contractors protested that they would have no way to quench their thirst on a hot summer day. People with disabilities argued that the caps on re-fillable bottles were too hard to open. 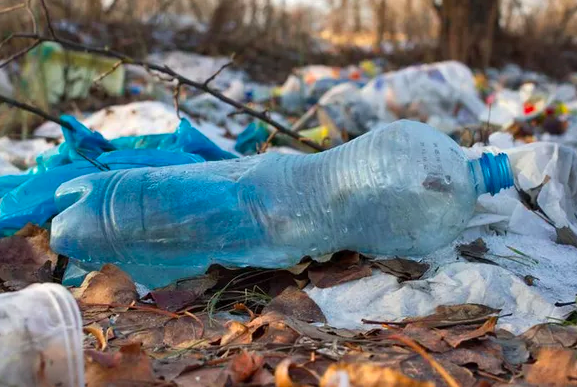 Little League parents protested that they would no longer be able to sell plastic water bottles for fundraising at games. And educated liberals, as if competing for ‘wokeness,’ were offended that our focus was too narrow: why wouldn’t we tackle allplastic packaging? At the heart of the varied objections, I heard this emotional cry: It is my right to object. It is my right to sell or drink water from plastic bottles if I choose. Do not tell me how to live or do business. Do not take away my rights. Rights. When does one person’s right become another’s punishment, or the punishment of our planet or our bodies? What is the role of town government in expanding or curtailing our rights? These questions are as old as our democracy. In the Declaration of Independence, an inalienable right is the right to pursue any legal activity as long as it does not infringe on the rights of others. So whose legal rights does the plastic water bottle infringe upon? In the end, the bylaw passed a second time by two-thirds. The majority declared their support for a move toward sustainability. Unfortunately the minority left the voting hall – I fear – disgruntled, angry and discouraged. We obviously never set out to cause discord. Rather, we thought it would be straightforward to legislate a reduction in a harmful product for which tap water is a readily available substitute. Our committee continues to work to be inclusive and to offer alternatives to plastic bottled water: we will be installing water refill stations throughout the town to make drinking water readily available, and we are setting up our ‘GB on Tap’ program with merchants so that pedestrians can easily walk into a store or restaurant to have their bottles re-filled. So, what did I learn through the process? First, I discovered my own idealism. I had known but not truly understood the depths to which people feel their rights and freedoms under siege in a country with a diminishing social safety net. I gained compassion for those who feel power and agency slipping through their fingers. I learned that in this climate, even a plastic water bottle has the power to divide. I also learned the importance of staying true to my values without becoming strident or self-righteous and with a mind and heart open to others’ struggles and objections. Defensiveness and anger proliferate in our society today. Thank you, bottle bylaw, for teaching me the practice of tolerance. Anni Crofut Maliki lives in Housatonic MA with her husband Mel. 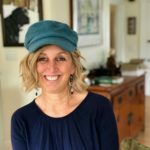 She is a jewelry designer with her own collection which she sells through her website (www.AnniMaliki.com) and at high-end juried craft shows throughout New England. She enjoys a polyamorous relationship with designing, writing, dance, yoga, Indonesia, her family, and friendships.